I believe they are talking about my God, who created it all! Psalm 148 so beautifully expresses the concept of the entire universe singing praises to God through the “music of the spheres” as one songwriter so aptly put it. Verse 3 says, “Praise Him, sun and moon, praise Him, all you shining stars!” (ESV) Did you know that radio frequencies from pulsars (magnetized neutron stars) thousands of light years away can now be picked up and heard by electromagnetic telescopic programs circling the earth? We can now literally listen to the sounds of the universe day and night. These stars are sending radio signals into the universe….The stars are singing! When you listen to some of these sounds from millions of miles away, which are heard on complex computer programs, it simply blows your mind to hear the different frequencies, tonal patterns and diversity of sound they produce. God literally has His own string section! I call it “God’s symphony” and I am sure He enjoys listening to it! Psalm 148:7 goes on to say, “Praise the Lord from the earth, you great sea creatures and all deeps….” (ESV) Did you know that whales give off sounds that are quite musical while they are swimming around the world? Many of these sounds have been recorded and their “praise” is very jubilant and quite melodic! Verse 10 goes on to speak of “beasts and all livestock, creeping things and flying birds” praising the Name of the Lord! I know we hear cattle and animals making sounds which could very well be their way of communicating with their Creator, not to mention the beautiful singing we hear from the multitude of birds flying overhead. Have you ever been sort of “down” or “depressed” and heard a bird singing outside of your window? I know I have, and it instantly lifted my spirits! Now, I firmly believe we are all Israelites if we have believed on the Lord Jesus Christ and accepted Him as our Savior. We are called upon to worship Him, Yahveh, and His Son, Yeshua, who has redeemed us from our sins and given us Eternal Life! Have you sung to your Father today and joined in His Symphony? The stars, planets and animals do not have a choice in conveying their worship…you and I do! 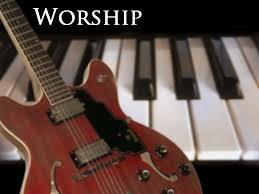 That is what makes our worship even sweeter to the Father’s ears! Why not “get your praise on” today! He loves to hear your music!